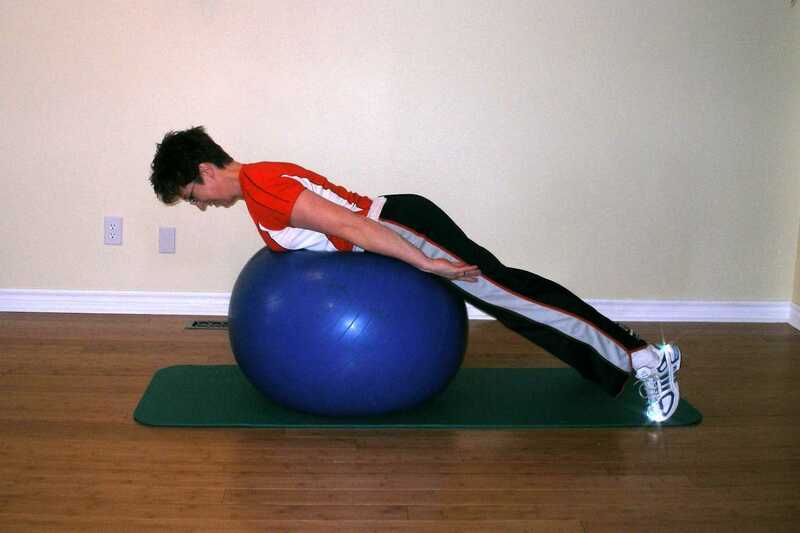 Start this prone leg raise ball exercise on your stomach over the exercise ball. You form a straight line from your feet to your head. Hands should be beside you at your sides. 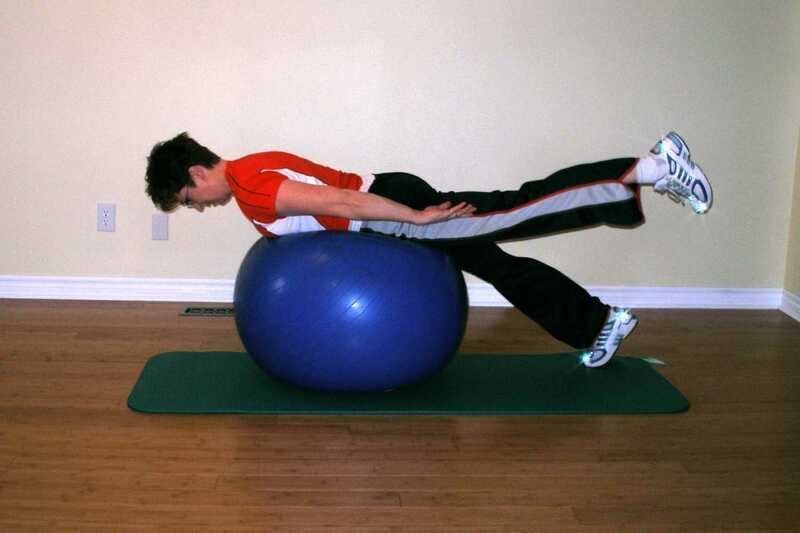 Be sure to master Prone Leg Raise 1 before attempting this exercise ball exercise. Try adding 1-2 kg ankle weights. Simply resting in the starting position is an exercise by itself. Once you've mastered this position with engaged abdominals in your neutral spinal position you make it more difficult by introducing limb movement. Even before you lift your leg there is a cascade of neural input to your multifidus and other short segmental muscles in the spine anticipating your leg movement. Studies have shown that in people that have suffered from back pain that this cascade does not occur appropriately. For that reason it is important to get some feedback from your physical therapist if you have a history of back pain.